Reducing heat losses through insulation is a great way to save energy. There are lots of things in your home that will benefit from some extra layers. 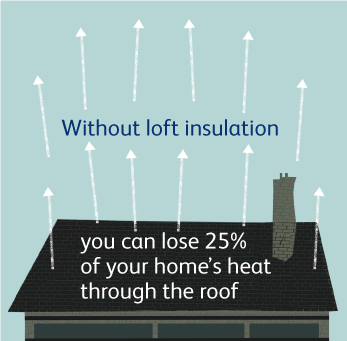 Fit loft insulation to prevent as much as 25% of your home’s heat being lost through the roof. Double glaze or secondary glaze your windows – or, for a cheaper option, simply add thermal linings. Put an insulation jacket on your hot water tank. Insulate hot water pipes in the loft and garage where there’s no heating. Many of us keep our homes warmer than they need to be. 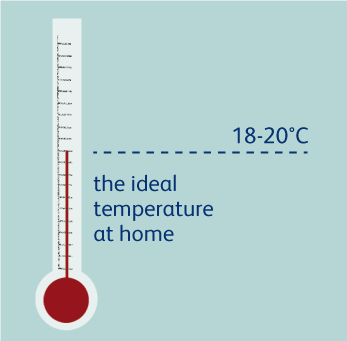 Did you know that reducing your thermostat temperature by just 1°C can save about £60 a year? Between 18°C and 21°C is ideal. Rather than turning up the heat, try putting on an extra layer. Turn off the heating 30 minutes before going out or before going to bed. Snuggle up to a hot water bottle on the sofa or in bed. The more water you use and the hotter it is, the more energy it takes. 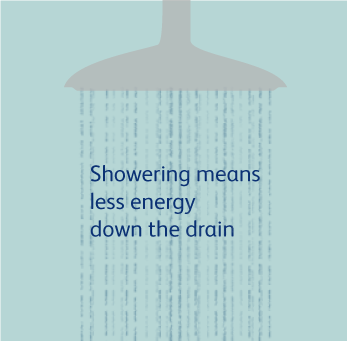 A short shower uses less energy than a long bath – and it costs less. Use a clever low-flow shower head to reduce the amount of hot water that goes down the drain. If you really want to soak, fill the bath with cold water first and then bring it up to temperature with hot water. 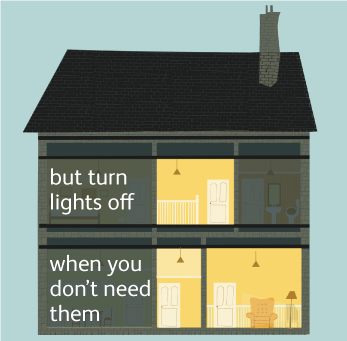 Aim to reduce the amount of lighting you use - there are ways of brightening up your home that don’t involve turning up the dimmer switch. Use low-energy light bulbs and remember to switch off when you’re not in the room. Fit timers and automatic sensors to help control your lighting. Throw open the curtains during the day. Decorate your walls with bright colours that reflect more light, making your rooms brighter. Use brighter lampshades as they give out more light. 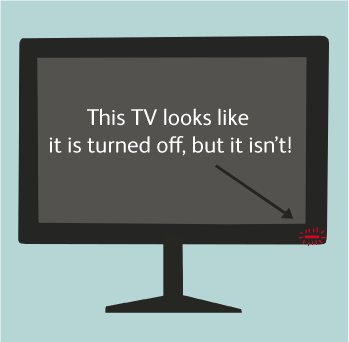 Is that TV really off? Switching an appliance to standby is not the same as switching it off. 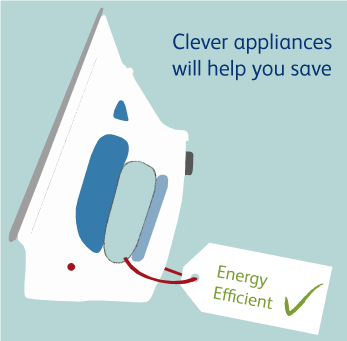 Remarkably, some appliances use 90% of the energy on standby that they use when they're on! A few small adjustments in the kitchen can make a big difference to the amount of energy you use. 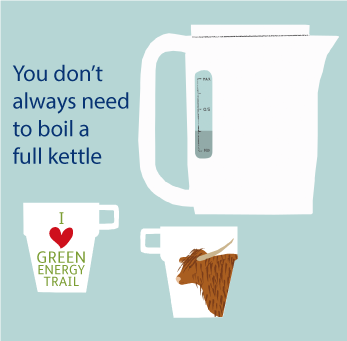 Only boil the water you need in the kettle – but make sure there is enough to cover the element. Use the right size of pan for the cooker ring and always put a lid on it to keep the heat in. Cut your vegetables up into small pieces so they cook faster and use just enough water to cover them. Think ahead and defrost your dinner overnight in the fridge rather than doing it in the microwave. Consider microwaving when you can – a potato takes about 5 minutes in the microwave but an hour in the oven. Don't leave the your fridge doors open and never put hot food inside – let it cool first. Do your best to stop cold air coming in and hot air going out. Keep your doors and windows closed as often as you can. Fit draft excluders around your windows and doors. Put covers over keyholes and letter boxes. Seal up any holes in your doors and floorboards with sealant. Choose curtains that are nice and thick and close them when it gets dark. There are lots of energy-efficient ways to get your clothes clean. Always put a full load in your washing machine or tumble-dryer. 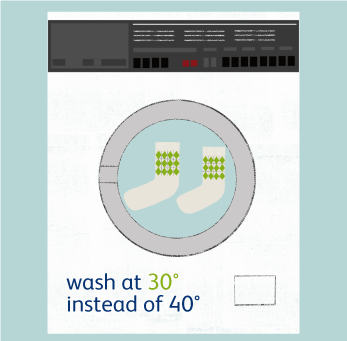 Wash at lower temperatures – a 30°C wash uses 40% less energy than a 40°C wash.
Dry your clothes outside when you can, but if you must use a tumble-dryer, use a dryer ball to separate clothes and make sure the filter is fluff-free. 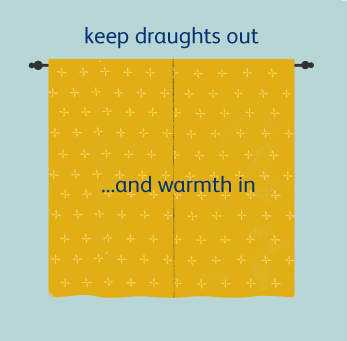 Don’t dry your washing on the radiators – this makes your central heating work too hard. Iron clothes that require a cooler setting first, and build up to the hottest setting. Keeping your appliances serviced and in good working order will mean they are operating at their most efficient. Service your boiler regularly to keep it in tip-top shape. Don't put fridges and freezers next to a cooker or in direct sunlight and make sure there is plenty of room for air to circulate behind them. Make sure there's a good seal on your fridge door. You can check the seal by putting a piece of paper in the door – if its easy to remove, the seal is not good. Freezers work best when they're tightly packed, so fill any spaces with cardboard. Avoid using less efficient portable heaters for long periods of time. When you buy a new appliance, check its energy rating and beware of false bargains for inefficient appliances. You won’t know if you’re saving energy if you don’t know how much you’re using. 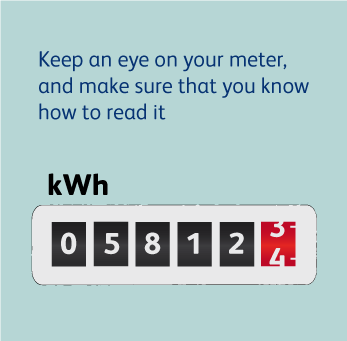 Monitor your usage of electricity and gas by reading the meter. Click here to get guidance on how to do this. Your bill is worked out by counting the number of units (kilowatt-hours, kWh) used.